Looking for an exceptional gift for that furry friend or furry family member? 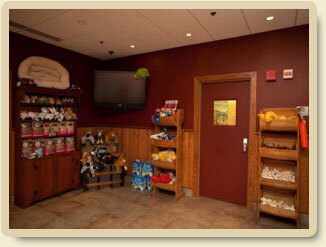 Morris Animal Inn has just the place! You are invited to explore our exclusive Pet Boutique stocked with an impressive selection of toys, bedding, grooming supplies, Eukanuba pet food and much, much more. Our friendly, knowledgeable staff is always close at hand to answer any questions you may have.